Pharmacy compounding is the art and science of preparing personalised medications for customers when a commercial product is not available or does not exist. Compounded medications are where individual ingredients are mixed together to prepare a pharmaceutical preparation. This method allows the compounding pharmacist to work with the patient and doctor to customise a medication to meet the customer’s individual needs. We have specialised equipment and staff to fulfil the high standards required to perform compounding. Crawford's Pharmacy has always prepared compounded medications for their customers and is happy to continue this traditional practice. 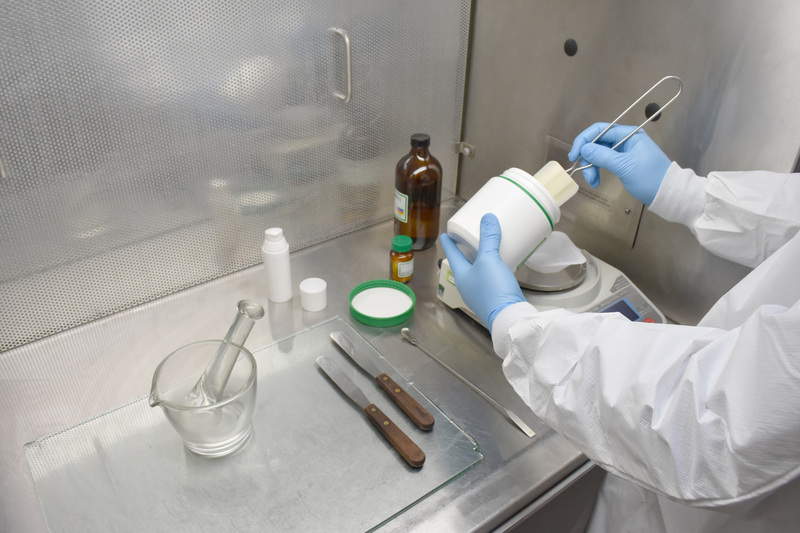 We source the highest quality active pharmaceutical ingredients from several accredited suppliers to ensure that we meet the compounding needs of the community. We also compound some non-prescription preparations. If you have any questions regarding our compounding service, please don't hesitate to give us a call!